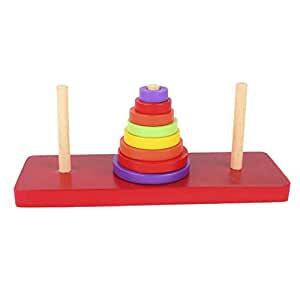 This tower of Hanoi consists of three rods and eight disks of different sizes which is initially stacked in increasing size on one of three pegs. The objective of tower of Hanoi is to transfer the entire tower to one of the other pegs. We can move only one disk at a time and never a larger one onto a smaller.